Proteins are a vital to life—and a vital topic of study for chemistry and biology students. 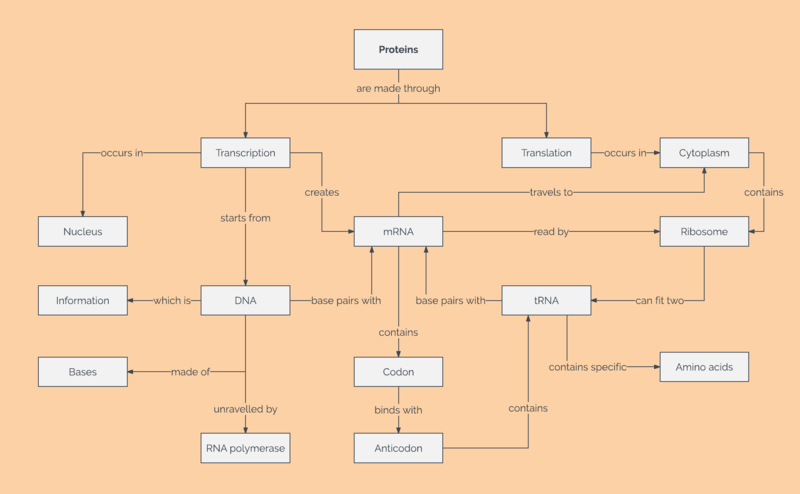 This protein concept map shows how proteins are created both through translation and transcription. To download or edit this protein concept map template, sign up for a free Lucidchart account. You’ll then be free to download or edit the image to your liking.